The J. Morgan Chandelier is inspired by the classic hammered styles of pure "arts & crafts". 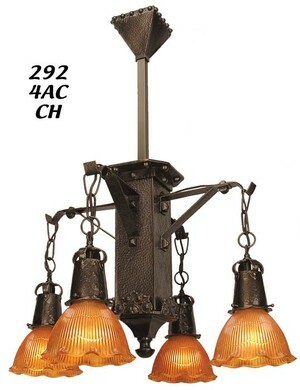 Our authentic reproduction is hand cut from thick, solid sheets of copper, and hammered thousands of blows. 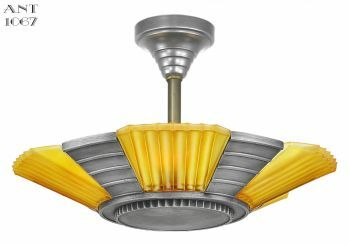 Made one at a time for you! 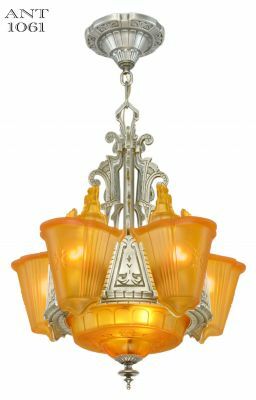 It gets quite a lot of attention in our showroom, and looks every bit as authentic as an original from early 1900's. 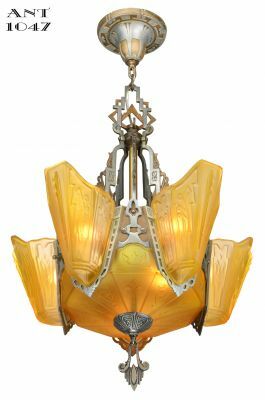 Glass shades are sold separately. 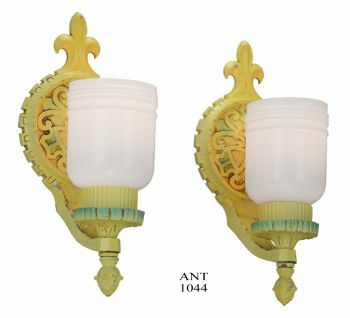 This fixture uses 2 1/4" shade fitter size. 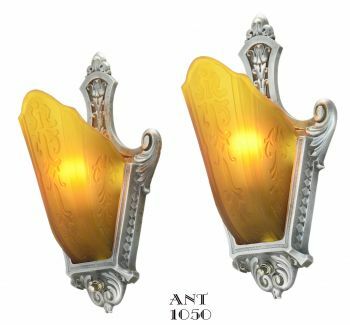 This 4 light version is shown with our amber tinted waterfall shades , and in the photo below, with clear waterfall shades ZR-16 . 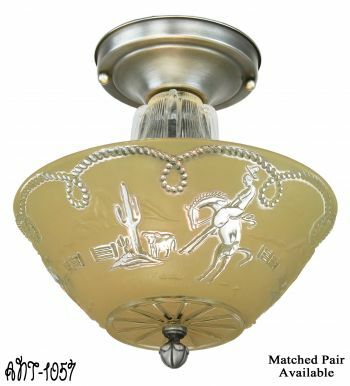 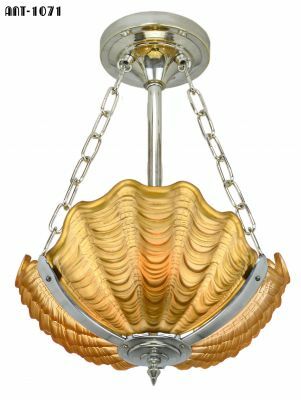 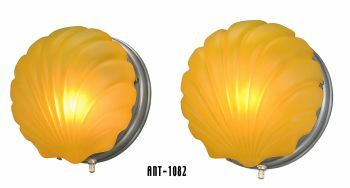 We also have a complementary cast iron close ceiling light, 388-CCL-AM . 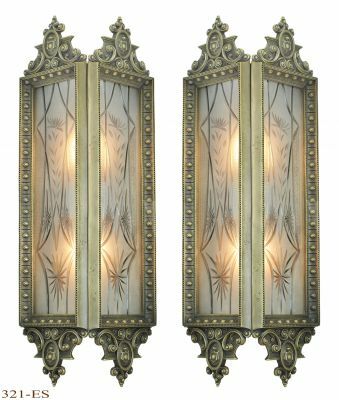 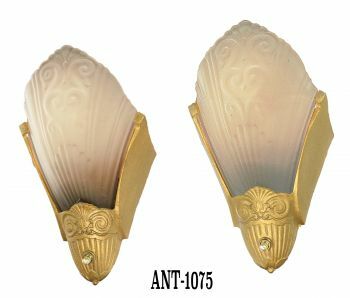 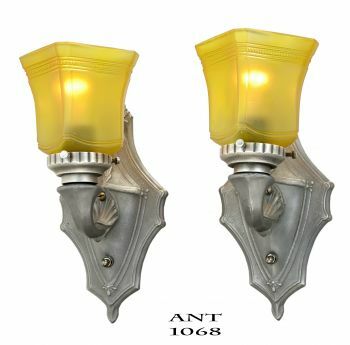 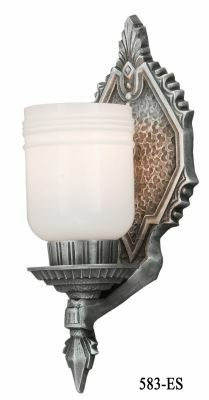 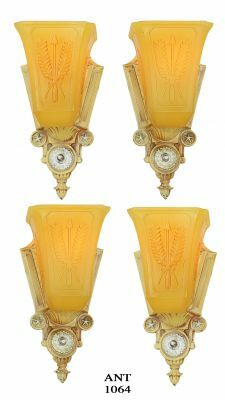 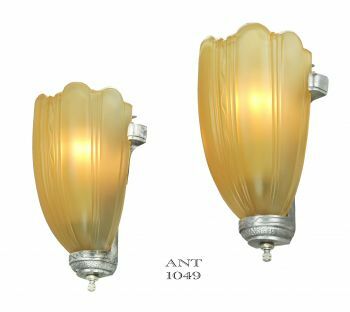 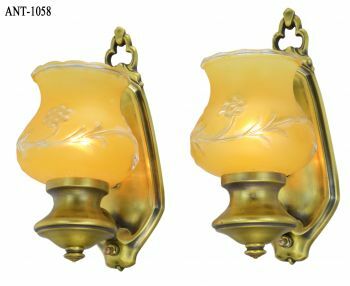 For a matching single wall sconce see our arts & crafts selection. 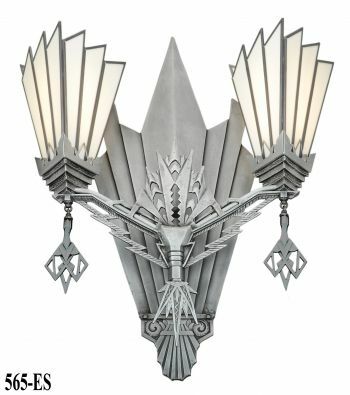 Also available as a ceiling pendant light. 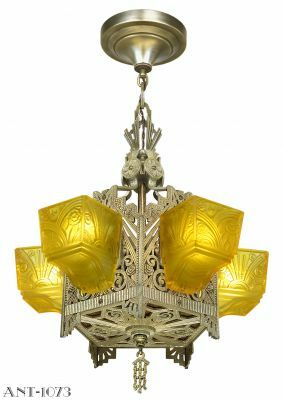 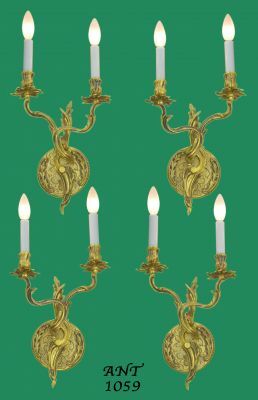 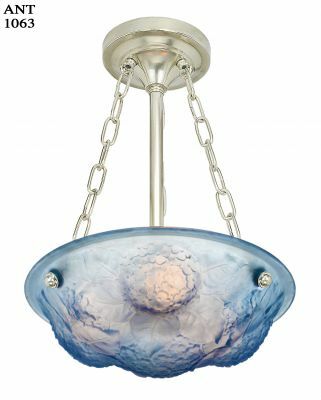 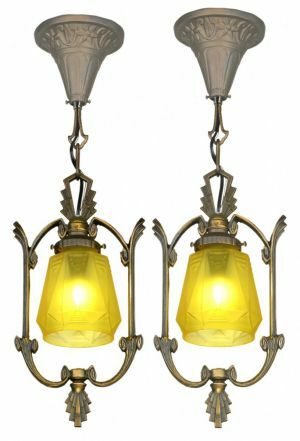 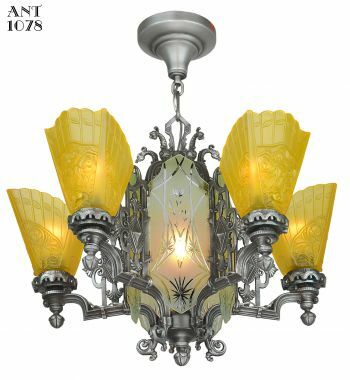 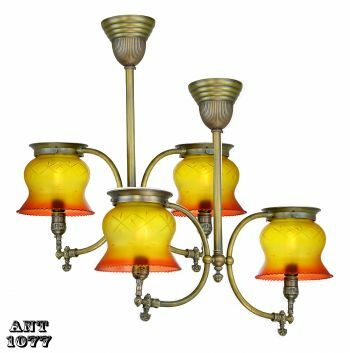 In addition to the glass shade style J Morgan chandelier, we offer a 4 lantern chandelier . 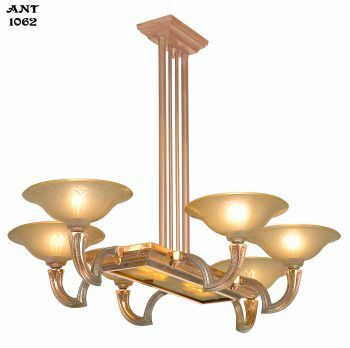 This would offer a similar look without matching exactly, for adjacent rooms, or to carry out the Arts & Crafts theme. 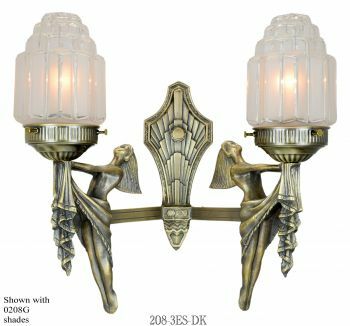 We also sell hand-hammered copper switchplate and outlet covers, knobs, handles, and pulls. 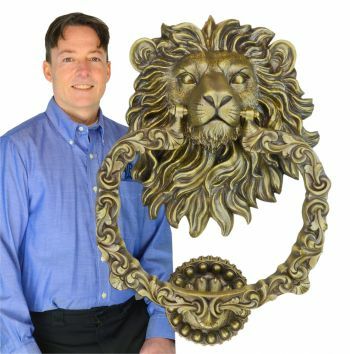 We offer hammered copper mail boxes, door plates, and doorknobs, too! 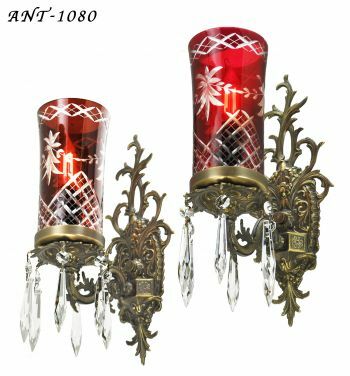 44" H x 25" spread. 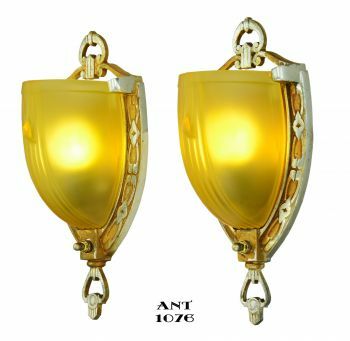 Can be shortened to 22 1/4". 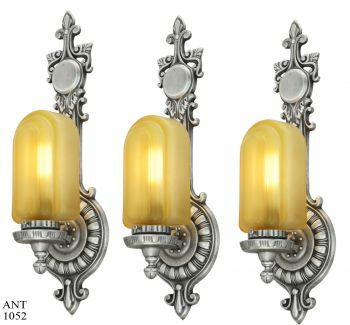 4 incandescent sockets rated up to 100 watts each.